This morning I woke up with a craving for Cracker Barrel's pancakes. I mulled over it for about 30 minutes before I finally decided to take the 3 mile drive. Now there's a Publix across the street from my community... I thought that the store would be closed since it's New Years Day. But NO!... Screeech .. U-Turn!! Publix was open! 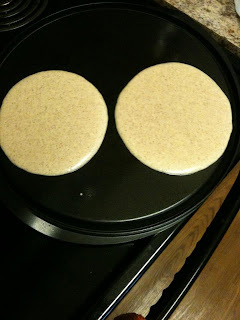 I went in pick up some ingredients and went right back home to make my own pancakes! Cook for about 1 more minute or until golden brown. Repeat the above until you have no more batter. Heat a small pan and add the sliced frozen strawberries. 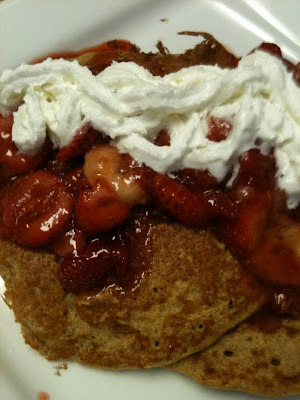 Once the strawberries begins to release the juices pour in the maple syrup. 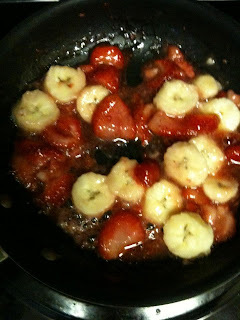 Add sliced bananas to the pan when the strawberry mixture starts on bubble. Stir ingredients over heat for 2 more minutes. 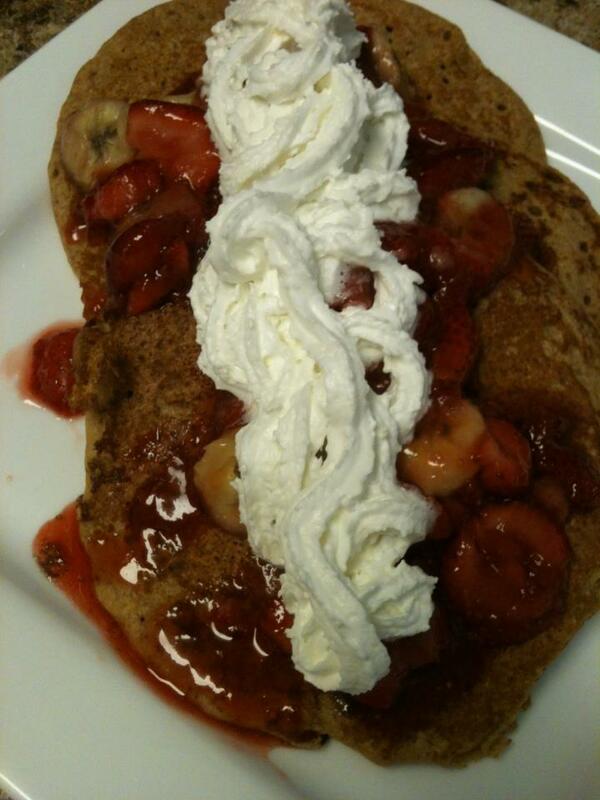 Serve hot and add whipped cream immediately before serving. Copyright 2011, Cooking With Val. Ethereal theme. Powered by Blogger.